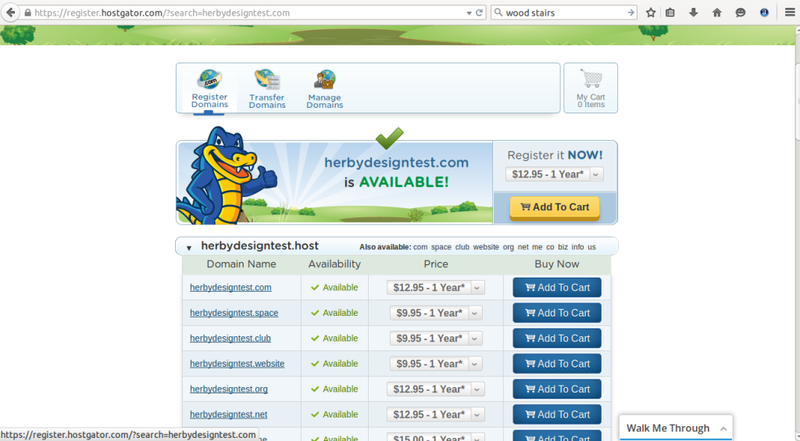 How to buy a domain at HostGator? 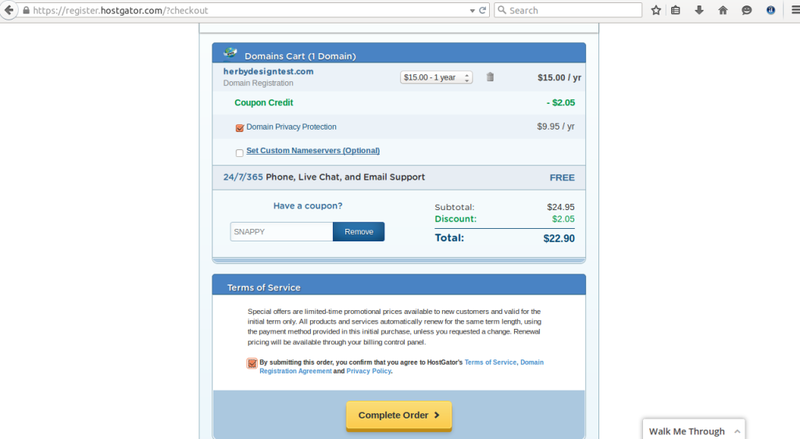 First thing to do is click here to go to Hostgator Page. 1. Click the Domains Menu with the yellow line. And it will redirect you to the Domain Registration Page. 2. 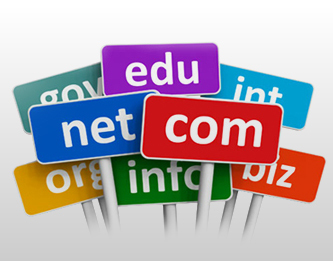 Type the desired domain name to register and click the Search button. 3. 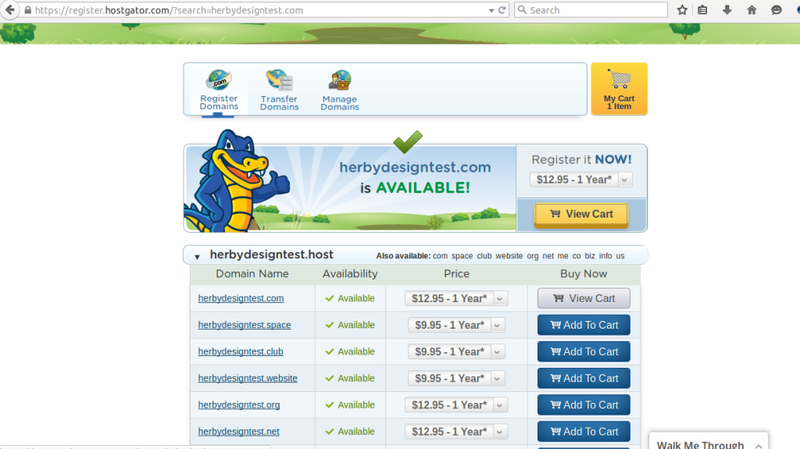 Now you will see a message that says herbydesigntest is Available please click the add to cart yellow button. There are also other extensions you can choose. 4. 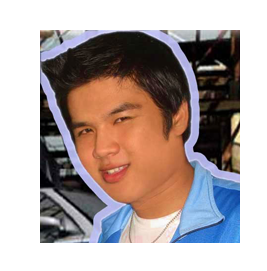 Once you click the add to cart button , It will change to View Cart and please click on it. you will be redirected to payment page. 5. Review your domain details and unchecked the Domain Privacy Protection, after that please type the coupon “SNAPPY”, and Click the Term and Service. Once you read and review the details , You can now click the Complete Order button. 6. There are options to choose whether you have an account or new customer. If you are new please fill up the form. 7. 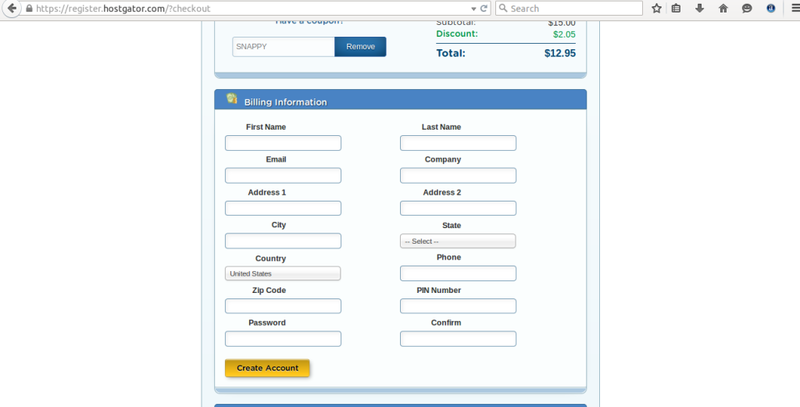 Once you’ve done the required field, you will proceed to the payment page using your paypal or credit card. 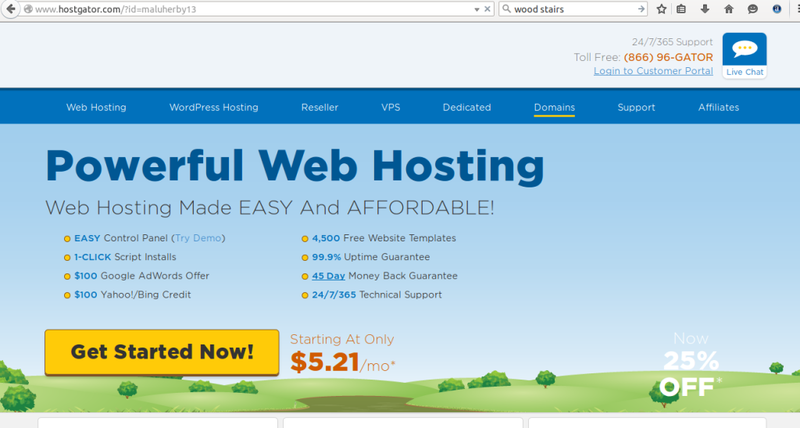 Hostgator will guide you thru. 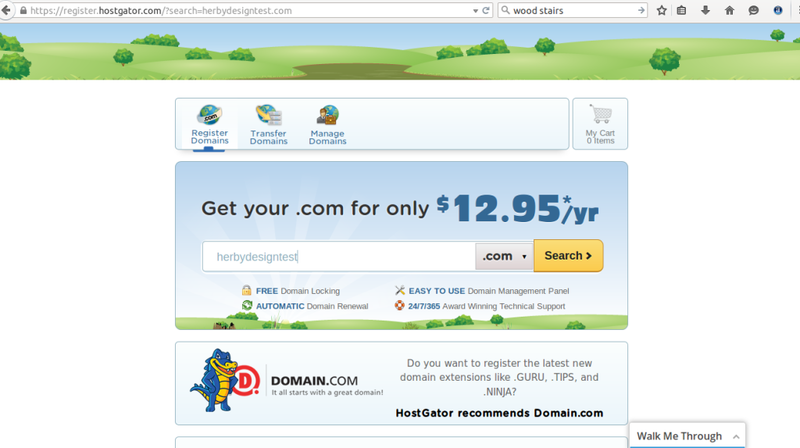 Hope you learn on how to register a domain at hostgator. If you want to learn on how to register a hosting. Please click here. I really lіke іt whenever people copme togetɦeг annd share ideas. Ԍreat blog, continue the good work! If possible, register a domain that’s the same as your business name, or incorporate relevant keywords for SEO. The personal contact information for all domain owners is available online in the public WHOIS directory.